Please refer to the section ‘Delivery Costs’ for costs per country. contact us at moodymapgiedesigns@gmail.com for a quote. We will try to deliver your order as soon as possible, however as we ship our items with a range of shipping services and couriers delivery times may vary. We endeavour to ship our products within 2-5 working days. Please note during busy times, it may take up to 10 working days to receive your order. If the product you have ordered has a lead-time, this will need to be taken into account in addition to the delivery time. We deliver internationally. If you can not find a shipping price for your country at checkout, please contact us directly for a quote. Deliveries for purchases over Euro 100 within the Netherlands are free of charge. Below shipping costs are priced in Euros based on sizes up to 100x50x50 cm, and are quoted for various weights in Kg ( from <2 Kg up to 30 Kg). The last column (20- 30 Kg) is including VAT. A Track and Trace number will be provided with all our shipments, which will enable you to follow your order at any time. 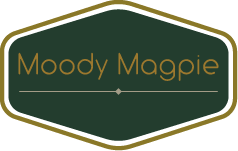 If you would like to return an order you have made through our website please email moodymagpiedesigns@gmail.com to arrange your refund. Please note that we do not cover the delivery cost of returns. Items can only be returned if they’re in perfect condition and in the original packaging, so please ensure that they are packed well. We reserve the right to refuse a return on any item which is not in the right condition. Please take care to fully inspect your items to ensure you are happy with them before disposing of packaging, as failure to do so may result in us being unable to accept the returned item. If you believe your item is faulty please contact moodymapgiedesigns@gmail.com. When emailing please include a photograph of the damaged/faulty item, and a description of the fault. Please DO NOT attempt to fix the item of your own accord or via a third party as this may affect your entitlement to a refund, compensation or reimbursement.